NCK Dongle Android MTK Module 2.5.6.2 with loader is here. 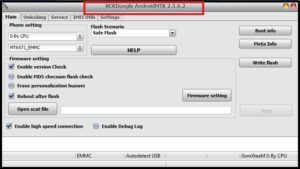 If you have any MTK chipset based android like Oppo, Vivo, Micromax etc then NCK dongle tool is must to repair bricked devices. NCK tool is very important tool to repair bricked device or repair IMEI or unlock pattern lock, PIN lock & password or remove FRP lock [Factory reset protection] etc. Basically it’s a professional premium tool and come with dongle. Same as NCK tool required the licence to activate it’s setup. But here in this post we are listing free NCK 2.5.6.2 version with setup & loader. That means, no need to buy Premium NCK dongle. Simple checkout below download section and download latest NCK tool 2.5.6.2 without dongle / Box. Ava liable free NCK tool is free to download for everyone. Moreover, it’s a portable NCK tool for MTK devices. So no need to install it on pc. Simply download NCK tool, extract it on pc and run NCK tool without installation. Free NCK dongle 2.5.6.2 is 100% working and tested tool. If we talk about it’s compatibility, NCK tool supports all windows platforms W7, w8/8.1 & window 10 too. All MediaTek [MTK] phones come with scatter loading file like Vivo, Oppo, Moto, Micromax, Infinix etc. 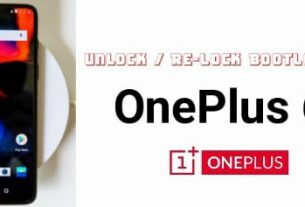 Oppo F3 frp unlock/reset, firmware flashing added. 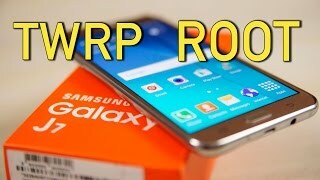 Vivo 1753 frp unlock/reset, firmware flashing added. Y66 IMEI repair, frp unlock/reset, firmware flashing added. V5s IMEI repair, frp unlock/reset, firmware flashing added. Huawei Ascend Y3 lua-l13, Ascend Y3 lua-l01, Ascend Y3 lua-l02, Ascend Y3 lua-l23 frp reset, backup and flashing added. Motorola XT1700 FRP bypass, IMEI repair, Read / Write firmware added. Before going to start working guide, we want to clear one thing. NCK tool can do many tasks and it’s depending on device model name & number including CPU/chipset number. So working process may be different for different devices. So here we are sharing only brief description about free NCK tool installation with overlook. If you try to find there are so many other NCK tool is available to download with different version and their installation process may be different. But if you are downloading the NCK tool from our site then follow the below installation process. It’s a portable NCK tool, so no need to install it on pc. First off all disable or remove “Anti-virus” on your pc. Otherwise it will detect it as a virus. Open the extracted folder and find the “Nck Mtk Dongle 2.5.6.2 Loader .exe” file first. 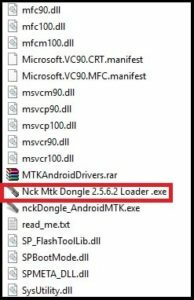 Now run “Nck Mtk Dongle 2.5.6.2 Loader .exe” file as administrator. It will launch tool directly on pc without installation because it’s a portable version of NCK tool. Done !!! setup configuration completed and now you are free to use latest version of NCK dongle without box. Click on “Main” tab >> select “Mobile Brand & Model No” from “Phone Setting” section. Note: You have another option to search your device by CPU number, select only “0-BY CUP” option and then select CHP number from drop down section. 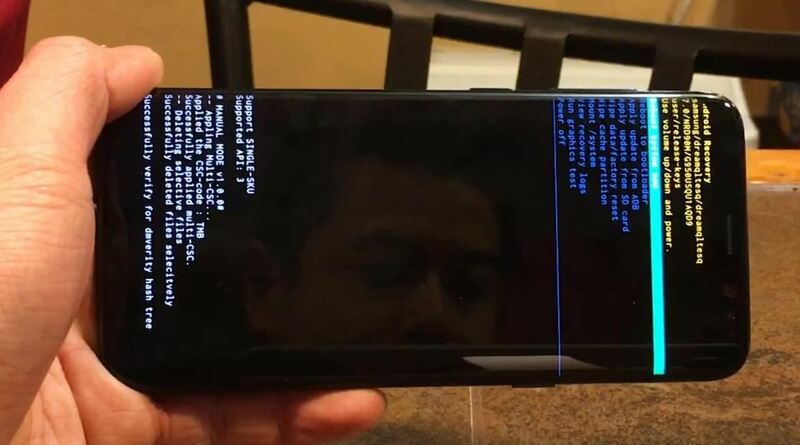 Connect the device with pc via USB cable + boot key and start flashing process. Navigate to “Unlock” tab from the tool and repair SIM network. Navigate to “IMEI Utils” tab >> enter correct IMEI of the device >> connect the device with pc and repair IMEI Quickly. Go to “Service” tab >> Select device or CPU to reset FRP lock. So guys this all about “NCKDongle AndroidMTK 2.5.6.2 tool ” which is free for everyone to download. This NCK tool is the perfect professional tool to unbrick, flash, repair IMEI and restore data etc. 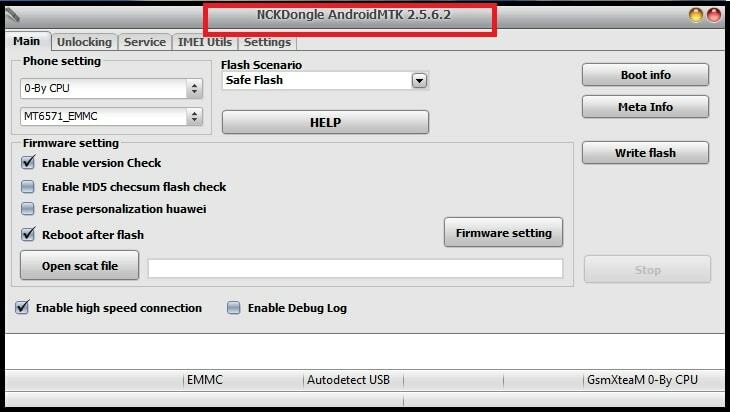 So if you have any MTK android device then you can download and use free NCK dongle 2.5.6.2 without box.